Main › press › New article about me in The New York Times. June 10, 2018 - No Comments! New article about me in The New York Times. 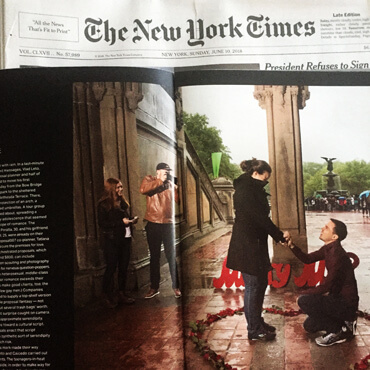 If you buy The New York Times today you will also get the special edition of The New York Times Magazine about Love in NYC. 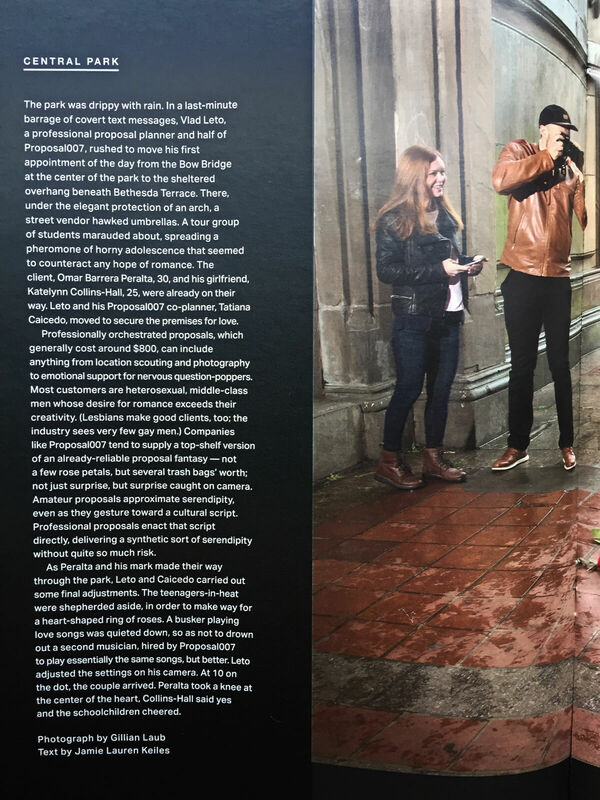 And on pages 36-37 you can find an article about me and my with Tatiana Caicedo proposal planning company Proposal 007. 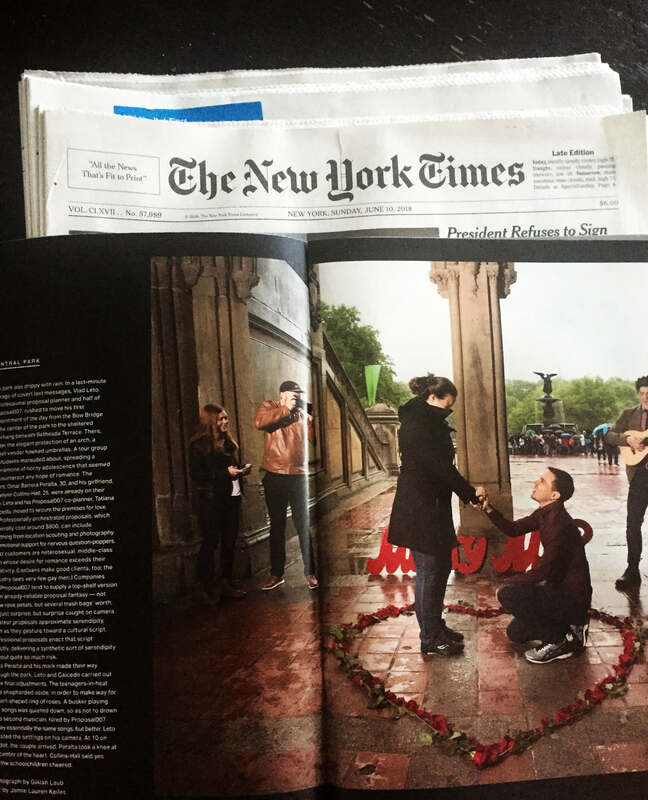 It is a great honor to be featured in The New York Times for the second time.